Chris Impellitteri was one of the shred guys of the eightes, crowning his status by making an album with ex. RAINBOW shouter Graham Bonnet, “Stand In Line”. 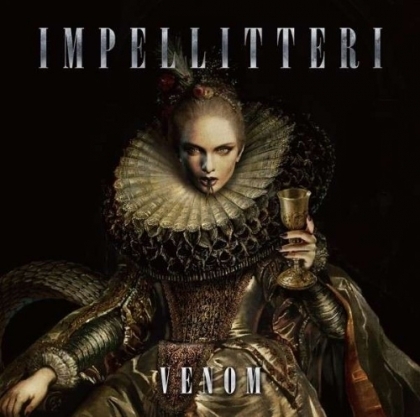 As with all shred guitar heroes things have been quieter as the years have gone by, with the exception of IMPELLITTERI´s successful 1997 album “Eye of the Hurricane”. Since 2004 it has been 5-6 years between albums. But now we get a full-on return with the ever returning Rob Rock on vocals, who´s been here since 2008 this time around, James Pulli on bass and the well-travelled Jon Dette (SLAYER, TESTAMENT etc.) on drums. The title track opens the proceedings in fine fashion. Bang on with loads of guitar, and a stable rhythm. The refrain fits like a glove and Rob is the voice for this band. “Empire of Lies” is slightly slower, but also heavier. The finest hour here is “We Own the Night”. Complete with lyrics in the vein of the old movie “Warriors” the cast iron riff is augmented by Jon´s drumming and the melody leads up to a fabulous refrain. They almost keep up with the opening three throughout. The low moment for me is the slight...oddity of “Rise”. It is a bit of a change but ends up feeling like it´s been misplaced on this album. Otherwise this album is filled to the brim of classic US metal paired with European melody. This is one album I recommend all metal fans to check out!